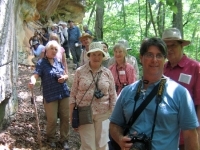 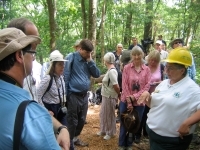 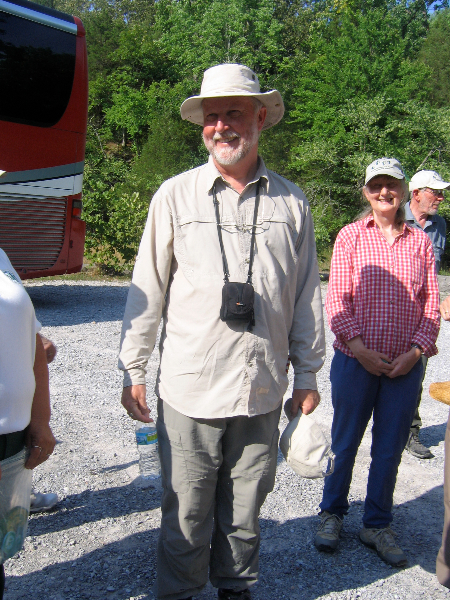 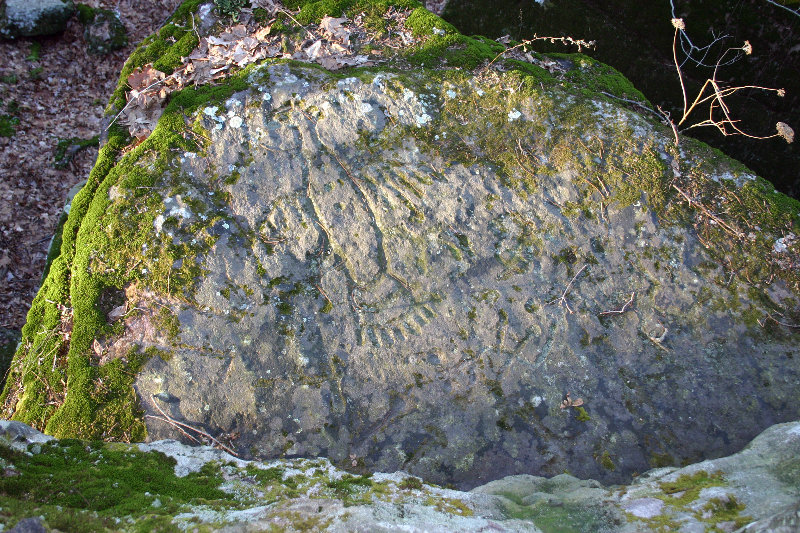 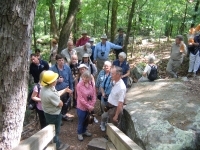 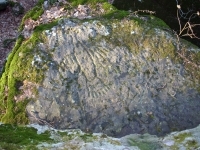 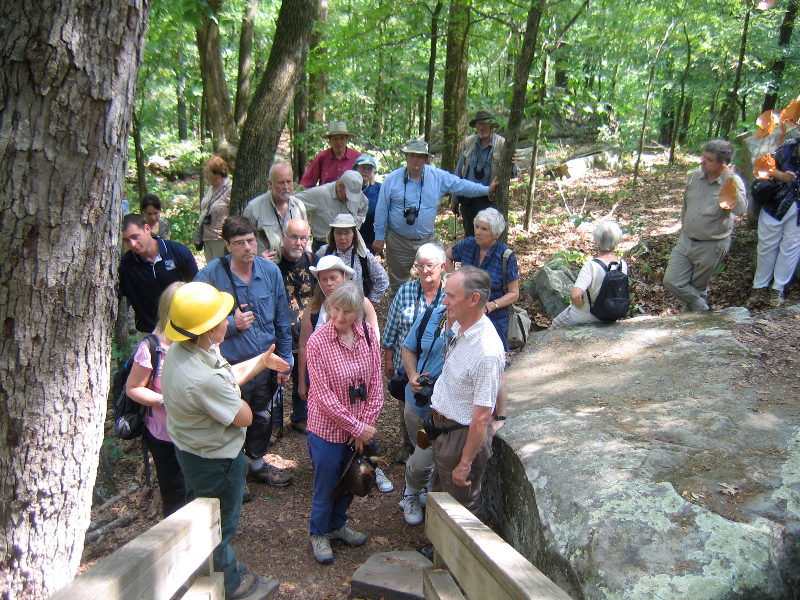 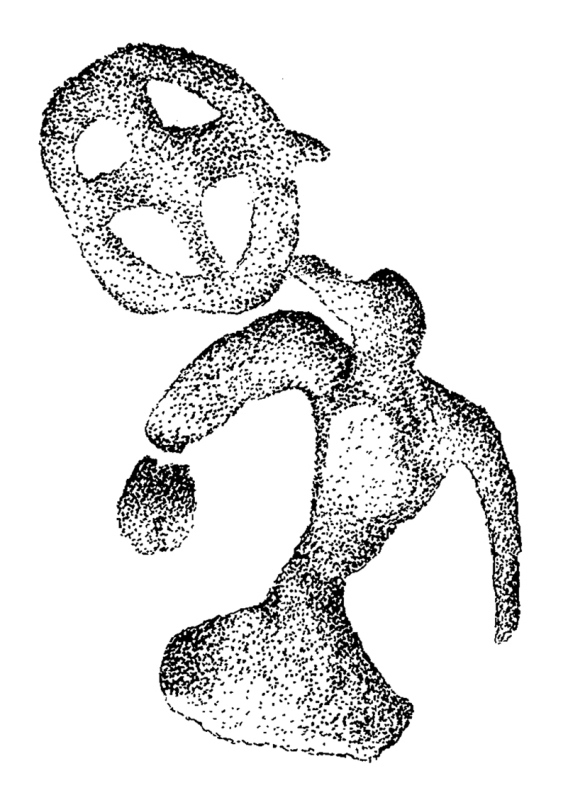 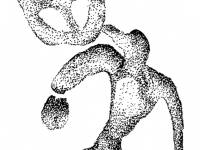 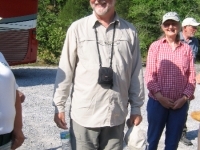 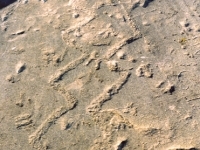 On June 21, 2012, as part of their tour of prehistoric earthen mound sites in eastern North America, over 20 members of the Prehistoric Society of Great Britain visited two prehistoric rock art sites—Piney Creek Ravine and Millstone Bluff—in southern Illinois. 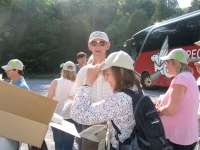 The tour was organized and led by Pete Topping of English Heritage. 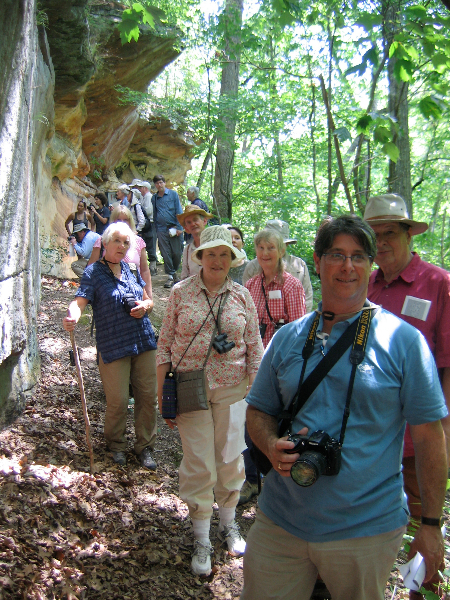 ESRARA members Mark Wagner (Southern Illinois University) gave them a tour of the Piney Creek site, the largest rock art site in Illinois in terms of the number of images, while Mary McCorvie and Heather Carey (USDA Forest Service) led the tour at the Millstone Bluff site, an unplowed Mississippian-era bluff top village with three associated rock panels. 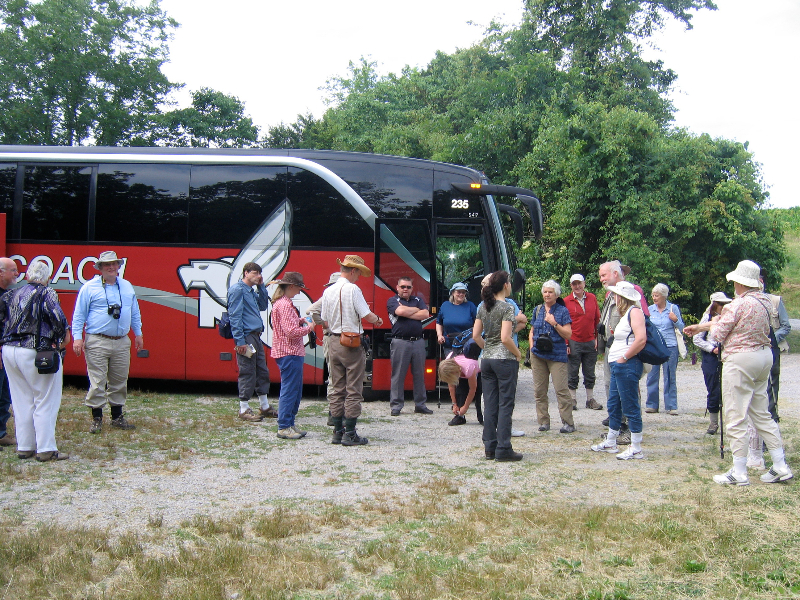 It was a great opportunity to show off some of our Midwestern rock art sites to a very appreciative group of visitors who confessed they were “mounded out” after visiting the Aztalan, Cahokia, and other mound group sites in the several days before they reached southern Illinois. 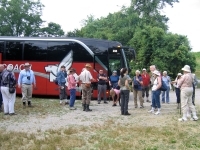 Even the humidity, heat, ticks, snakes, and poison ivy (which was especially bad at the Millstone Bluff site) of early summer in southern Illinois did not deter them from looking at rock art on a very long day that started at the Cahokia site at 5:30 in the morning and ended at about 8:00 in the evening at Evansville, Indiana. 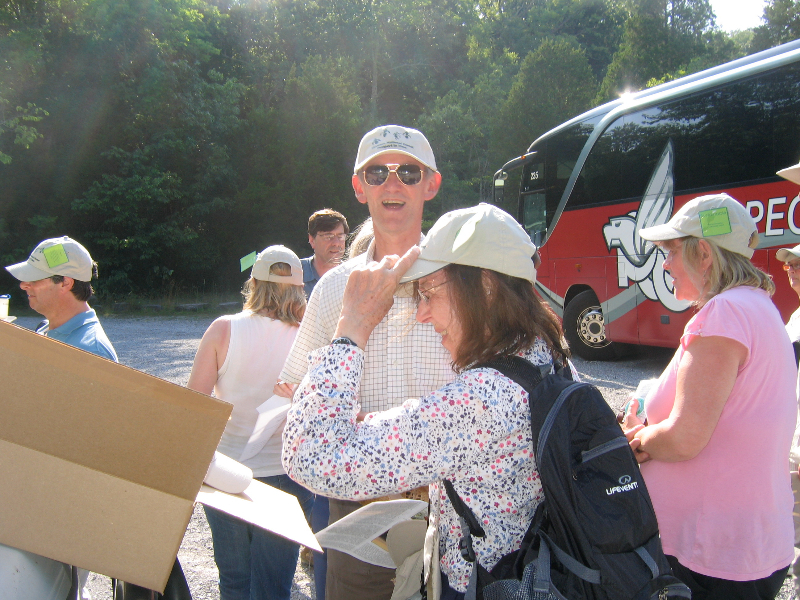 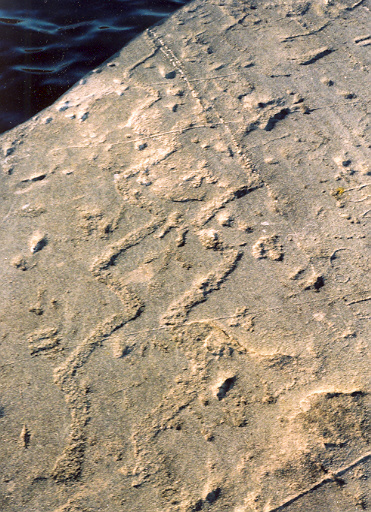 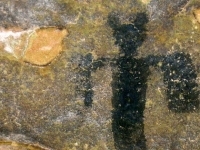 They were especially appreciative of the hats bearing images of southern Illinois rock art designs that were given to them by Mary McCorvie at the Millstone Bluff site as a souvenir of their visit. 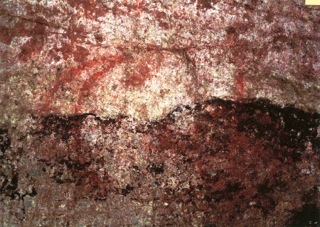 We (and I think they) were only sorry that they did not have more time to visit additional rock art sites in our region. 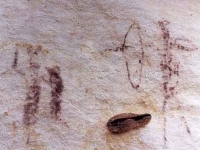 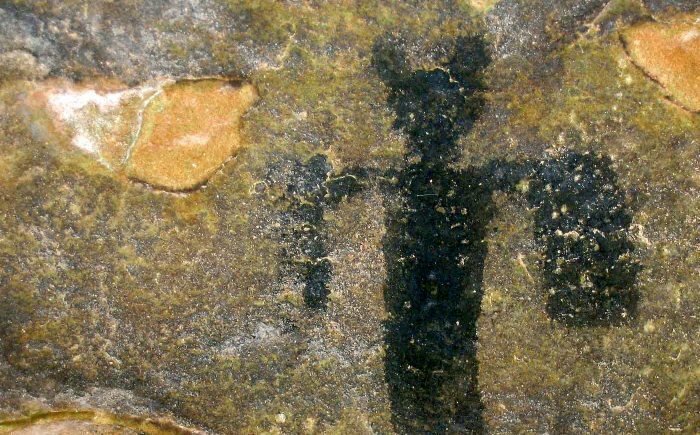 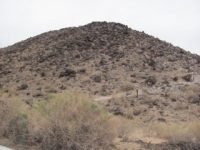 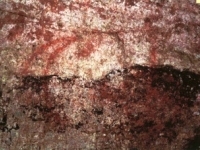 Hopefully, now that they are familiar with what we have to offer, they will make a return tour to visit additional rock art sites in the eastern U.S. in the future.